Located near the intersection of Homes Rd and Bannister Rd, Extra Space Storage serves Kansas City residents near South Kansas City, Leawood, Hickman Hills, and more. 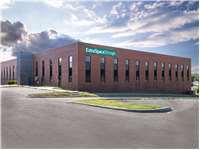 Locals will recognize our facility a few minutes south of Kindred Hospital. 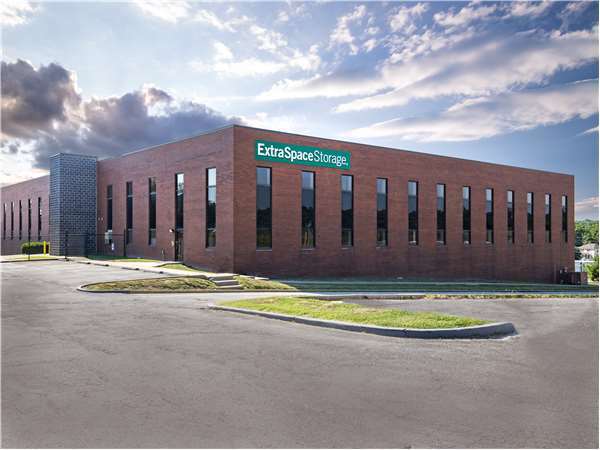 Extra Space Storage on Holmes Rd offers a large selection of storage units, climate-controlled storage, vehicle storage, and exceptional security, making us a great storage option for you in South Kansas City! No matter what you plan to store, our Kansas City storage facility has the space to accommodate you! Units are available in sizes as small as 3x5 and as large as 18x20 with first-floor access, drive-up access, elevator access, reduced height, and other convenient features! Keeping our customers and their belongings safe is our top priority! That's why our Holmes Rd storage facility utilizes security measures like individually-alarmed units, 24-hour video surveillance, electronic gate access, and an on-site manager. We have always been very happy with the services,cleanliness, knowledgeable employees.we have used extra storage many ti.es and will continue to do so when ever the need arises. We have been customers off and on for over 5 years. Have ALWAYS been very happy with the services and the way they conduct business. When you need Extra Storage check them out you won't be sorry. Employee's were excellent and the facility is modern and clean. This facility is amazing. This is my first time going with this company so I didn't know what to expect. When I've had a previous storage unit, I went with Public Storage, simply because it was a known name. Let me be the first to say I wish I had found this company sooner!! Compared to Public Storage, Extra Space wins hands down. You can tell they take great pride in keeping their facility clean unlike PS, where's there's rat posion in the corner and rat traps. And they even have a restroom!! Public Storage doesn't even have that. I am very impressed with this facility and I will use it again and recommend it to friends. Security feature is excellent and there's plenty of space to park so you can unload everything. I will definitely come back here. This is a one stop storage shop. The facility is clean, neat and has some rolling flatbed trolleys to help facilitate the moving of large items. It is a gated facility with some access control to the storage area and the building. The internal security is equally as good with numerous CCTV cameras and door alarms on the storage units. I have been pleased with the service thus far and they have always tried to be very accommodating when I needed another unit, change unit size, etc. It has served my needs well. Don't think you'll be dissappointed. The personnel were very helpful. We went to the first storage shed and found a beam in the middle of the floor taking up space. He tried 4 more sheds to find one that didn't have a beam and gave me that one. I appreciated his attitude and helpfulness. Just West of the Bannister Federal Complex and next door to Hendrick Automotive Center. We are on the NE corner of Bannister (95th) and Holmes Road. Drive south on Troost Ave. Pass Center High School and continue straight on Troost Ave. Turn right onto Bannister Rd. Turn right onto Holmes Rd. Our facility is on your right, just after Unlimited Auto Sales. Drive north on Holmes Rd. Pass Minor Park Golf Course and continue straight on Holmes Rd. Our facility is on your right, just beyond Bannister Rd. Drive west on Bannister Rd. Pass The Home Depot and continue straight on Bannister Rd. Turn right onto Holmes Rd. Our facility is on your right, just before Jay Wolfe Body Shop. Drive east on W Bannister Rd. As you approach Phillips 66, turn left onto Holmes Rd. Our facility is at the second driveway on your right.